If you want something with a tad bit more drama then this gown may be just what you need to fit every checkpoint on your dream list. Older brides, sophisticated brides, winter brides and the like may want a gown that makes them feel feminine and beautiful but without a skin-baring design. And that’s where these 10 modest wedding gowns comes into play. Which one is your favorite? 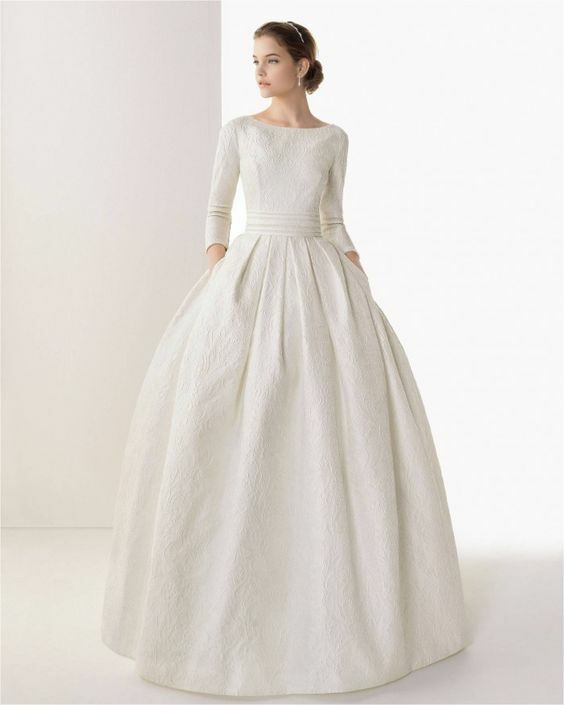 With a bit of texture and Audrey Hepburn spirit, you'll fall in love with this preppy-appeal wedding gown. 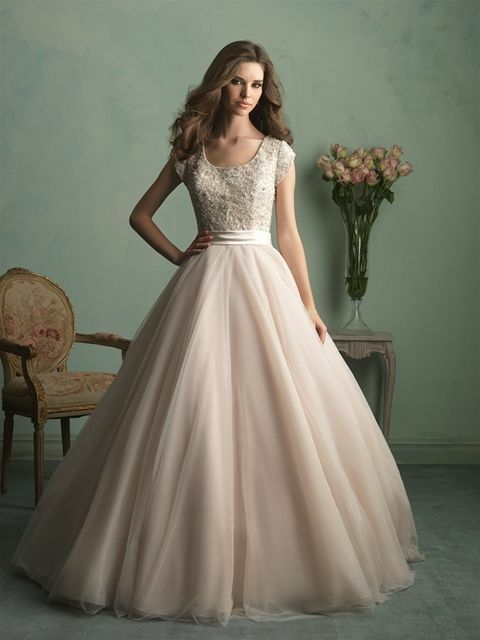 A touch of beige and peach surrounds this beautiful ball gown and it's full of youthful, princess-like style. If you want to sparkle and shine a bit, check out this shimmery designs that also shows off every beautiful curve on your body. A bohemian style may be more your speed and if so you'll want to slip something like this on for size with all of its lace details. 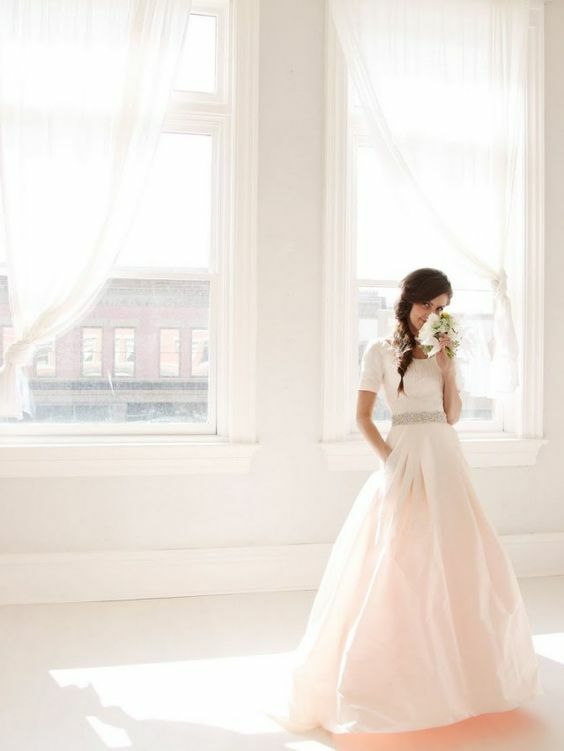 Infuse your day with some blushing tones, a cinched waist and a flirtatious spirit - just like this dress! 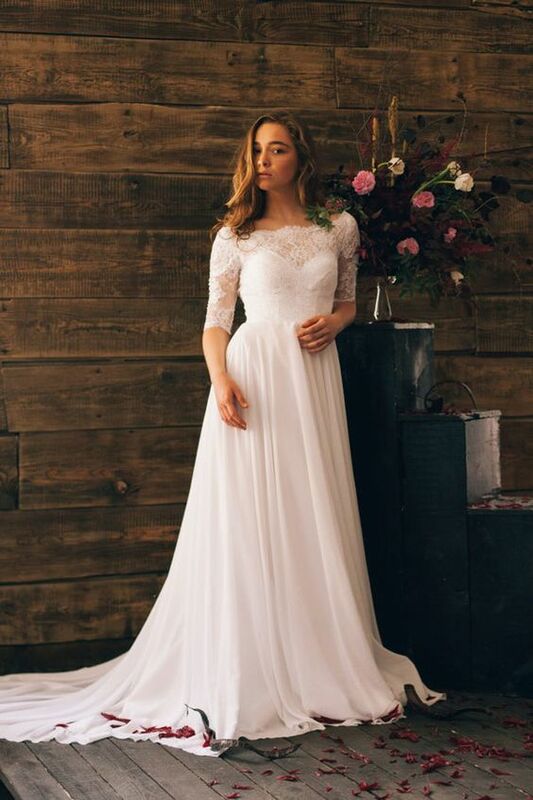 We love the ease and flow of this gown and we love the lace sleeves and sweetheart bodice even more. Sashay onto the dance floor with this textured and romantic design we've fallen hard for. Some blue, some drama, some memorable moments; this gorgeous number has it all. 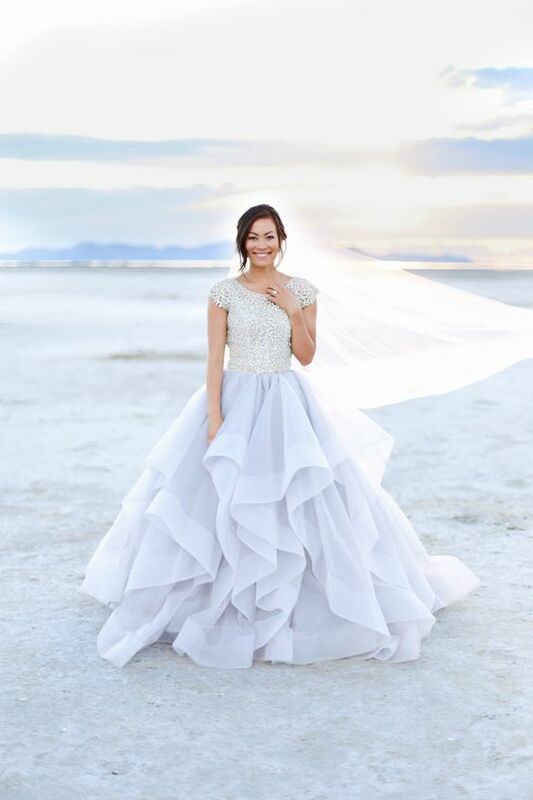 You don't have to be boring to be modest, and this gown is a stunning example of that fact.